10 Awesome Moodle Plugins Course Creators Need to Know! Listicles > 10 Awesome Plugins Moodle Course Creators Need to Know! Moodle is undoubtedly one of the most powerful online course creation and management systems. Built on the principles of social constructivism, i.e. 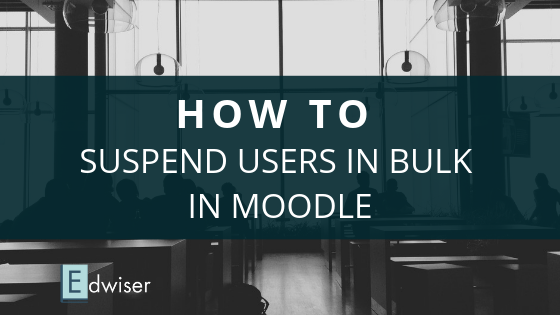 creating an atmosphere where teacher and taught alike learn from each other, Moodle looks to empowering both, the student and the instructor. The system is fully flexible and can be customized to suit individual requirements. One of its trump cards is that it has extensive documentation and a strong support system that guides one successfully through the entire process of installation, course building and customization. Similar to popular platforms like WordPress or Magento, Moodle has several add-ons and plugins to absorb any specific features you might need, on top of its core functionality. Let me share a list of the 10 must-have plugins for Moodle you are sure to love. The Certificate plugin allows you to create custom certificates based on the requirements and specifications of your course. This includes changing the font, display, color palette and language of the certificate. If you know how to code, you can even alter where the certificate images or logos will appear on the certificate! Various templates are available using which you can create anything, from a standard certificate to a fully customized one. As the name suggests, the Attendance plugin is used to keep track of your students’ attendance. Including options for ‘Present’, ‘Absent’, ‘Late’ and ‘Excused’, the sheet maintains a comprehensive record of the class attendance in Excel and Text format. Depending on the frequency of sessions held, the Attendance plugin generates an attendance sheet at the click of a button. It also allows for allocation of grades or bonus points for attendance. Course Reports: These provide information about courses. Categories reports: This type of report is used to give information about course categories and can be used to embed course reports too. User Reports: User Reports contain information about the users who will be handling the course and their role in the coursework. Timeline reports: Timeline reports are used to embed course and category reports. They are generally displayed in a timeline format. Additionally, developers can create their own different report types using Configurable Reports. A teacher-centric plugin, Grade Me displays the assignments, quizzes, essays, etc. that have been submitted but not graded. The drawback is that it is configured to work for groups, so it only works if the teacher and student are both in the same group. The individual student facility has not been enabled yet. The BigBlueButtonBN plugin integrates BigBlueButton with Moodle. BigBlueButton is an open-source long distance web conferencing facility which provides real-time sharing of videos and presentations across the internet. It also records this content. Creation of activity links within the video feed courses that you have built. Student access restriction, until a teacher attends the session. Setting definite session opening and closing dates that are displayed on Moodle’s calendar. The BigBlueButtonBN plugin allows you to skip the initial part of installation if you are working through Moodle. The Socialwall Format plugin introduces a timeline format to the Moodle course which is commonly used by social websites. The familiar format includes sorting of posts according to the date of uploading along with integration of Moodle’s activities and resources. The Collapsed Topics plugin is especially useful for long-winded courses. Scrolling through a long list of topics can be avoided by collapsing sections to single section headings. Each of these has a toggle option which can be used to view the contents within the section for a given amount of time. The Progress Bar plugin is useful for both students and teachers to keep track of the student’s progress in the course. Teachers can predetermine which activities and resources are to be displayed using Progress Bar. The Overview page lets the teacher check all the students’ coursework at a glance. It also lets them notify those whose work is not satisfactory or are lagging behind with respect to their submissions. Variable Numeric: The Variable Numeric plugin allows random numbers, expressions and variables to be generated within the questions. Drag and Drop Into Text: This plugin lets you create questions where the appropriate word has to be dragged into tables, charts and even sentences. Drag and Drop Onto Images: In addition to words, small images can also be dragged and dropped into questions. This plugin is especially useful where simple questions have to be created, for preschool questions. Pattern Match: Pattern Match allows for comparison of the student’s response to previously set answers. It is generally used for one-word or short sentence replies. Opaque: Open University lets you connect to question engines like OpenMark to use their questions in the Moodle quiz. The OAuth2 Authentication Plugin enables logging in to the Moodle course from various social accounts like Facebook, Google, LinkedIn, GitHub, Windows Live, VK and Battle.net. The icons are provided on the course page and the first time a student logs in, a Moodle account is automatically created. Moodle is one of the best learning management platforms there is. However, it stumbles a little when it comes to marketing your courses or selling them online. Not that these functionalities aren’t present, just that they are rather limited. WordPress, on the other hand, is much more flexible when it comes to marketing and selling strategies and has a lot more plugins that provide these services. 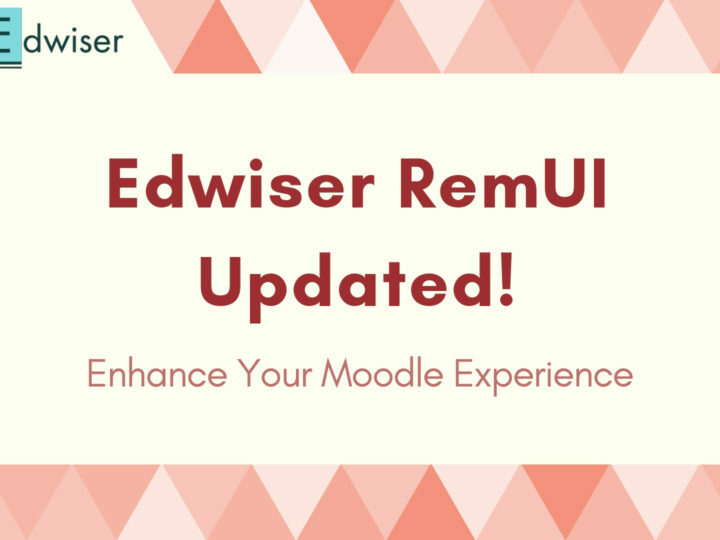 Integrating these two platforms is Edwiser Bridge, the WordPress-Moodle Integration Plugin. 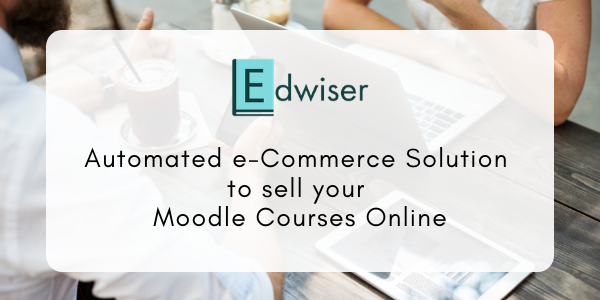 Installing this plugin on WordPress lets you create your course on Moodle and sell it on WordPress. Visitors who purchase a course on WordPress get registered automatically on Moodle. 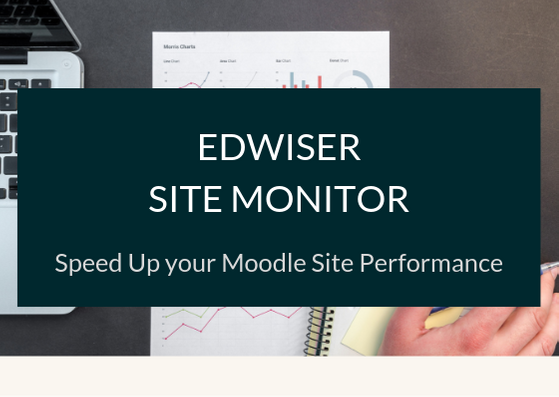 Edwiser Bridge is a great option for e-educators who are looking to avail all of the robust course creation functionalities of Moodle and the dynamic outreach of WordPress. Moodle is an eLearning platform that loves teaching for its own sake. A highly flexible course creation system, it gives you tons of options to add plugins and a theme to create the perfect course. Scaled to fit small organizations as well as multi-tier educational sectors, Moodle makes eLearning simple, engaging and authentic! What are your favorite plugins on Moodle? Is there a plugin you can’t set up your Moodle LMS without? Let us know in the comment section below! Love h5p as well. Made me go back to moodle after straying off to wordpress – based LMSes !